Britain’s boxing scene as a whole has prospered in the 21st century, with a roll call of home-grown pugilists getting their hands on Olympic medals and, in some cases, excelling at professional level. Such individuals include Luke Campbell, Nicola Adams, David Price, Tony Jeffries, Anthony Ogogo, James DeGale, Fred Evans, and Amir Khan. All these achievements can be attributed to the increased funding for Team GB’s boxing programme following an unexpected heavyweight gold for the nation at the 2000 Olympics in Sydney, a medal won by Audley Harrison MBE. The London-born southpaw began boxing out of Repton Amateur Boxing Club in Bethnal Green before becoming British super heavyweight champion in 1997 and winning gold at the 1998 Commonwealth games in the same discipline. Audley’s defining moment, however, came two years later in Sydney, when he stormed past Alexei Lezin, Alexey Mazikin, Paolo Vidoz and Mukhtarkhan Dildabekov to earn himself the Olympic gold medal in heavyweight boxing, becoming the first British pugilist claim top prize in that division. Plaudits came raining down from high for Audley, with Evander Holyfield proudly proclaiming: “He’s got it”. He went on to sign a lucrative £1m deal with the BBC to show his first ten professional fights. All in all Audley won two national titles, two Prizefighter titles, a Commonwealth gold medal, the European belt and, biggest of all, the Olympic gold – his legacy, however, stretches further than his own personal exploits. Because of Audley’s unprecedented success in Sydney, UK Sport decided to invest millions of pounds into the program in a bid to produce more world-class boxers like him. Schemes like the “World-Class Eight-Year Programme” saw fighters like Amir Khan fly the world as teenagers and partake in tournaments to build up experience and hone them into athletes able to win Olympic medals. With Amir’s 2004 success on top of Audley’s the funding continued, giving the likes of James DeGale, David Price, Frankie Gavin, Tony Jeffries and Anthony Joshua the support they needed, and looking at the roster now, most of the top British professional fighters were all a product of UK Sport. 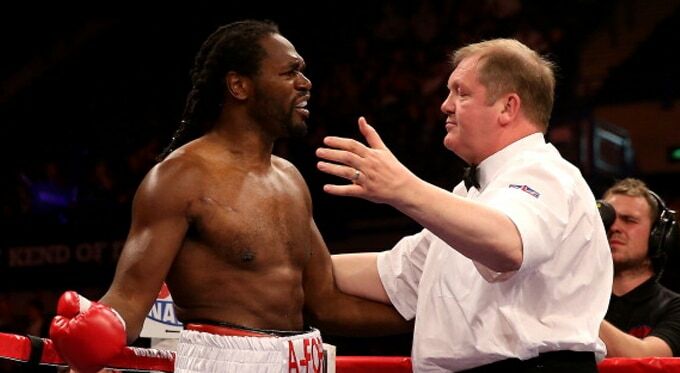 Put simply, Audley’s gold paved the way for UK boxing to thrive. The discipline is now at its strongest in this country, and with a British world champion and many more prospects on the way, it looks like Audley’s legacy will continue to give for many years to come. To learn more about Audley Harrison MBE and how he can help your company’s brand or next event, contact Champions Olympic Speakers today by completing the online form or by telephone on: +44 1509 85 29 27.